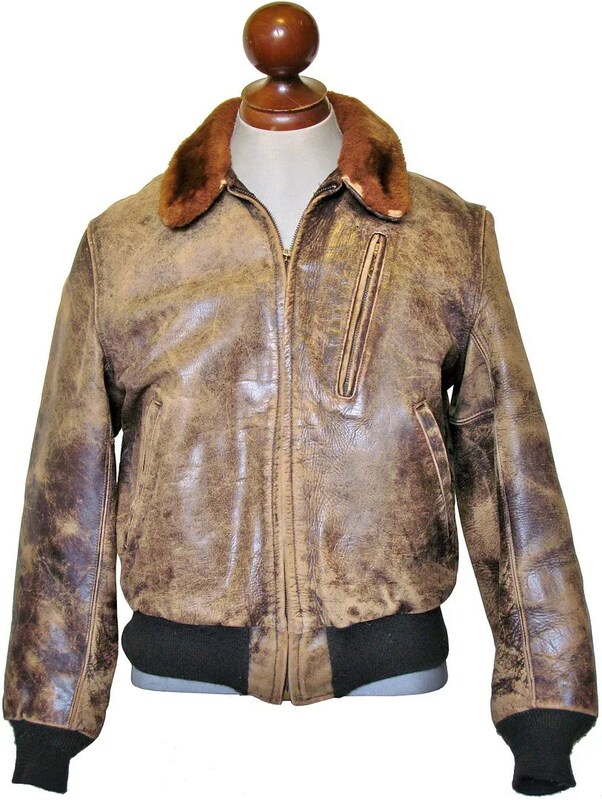 This vintage leather jacket was made in the 1940s. 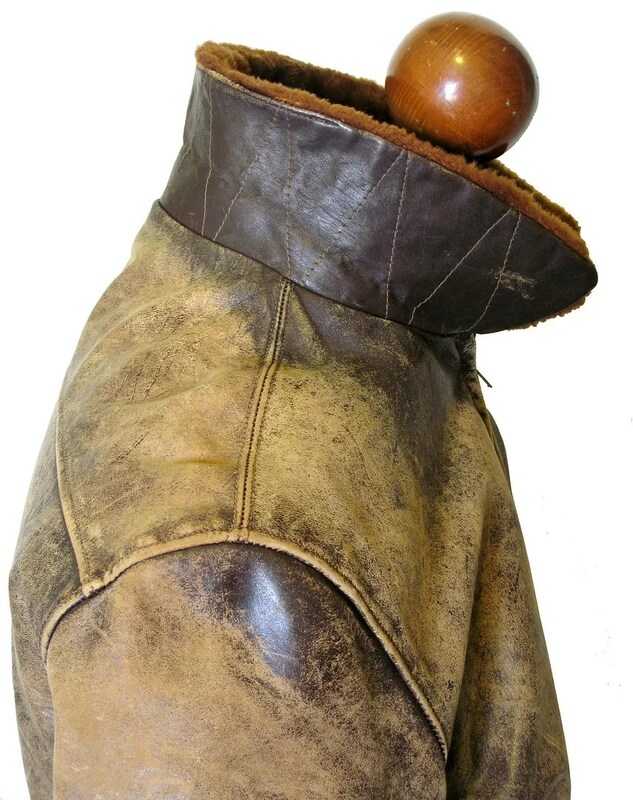 The style, with knit waistband and cuffs, and slash handwarmer pockets was popular after the war. 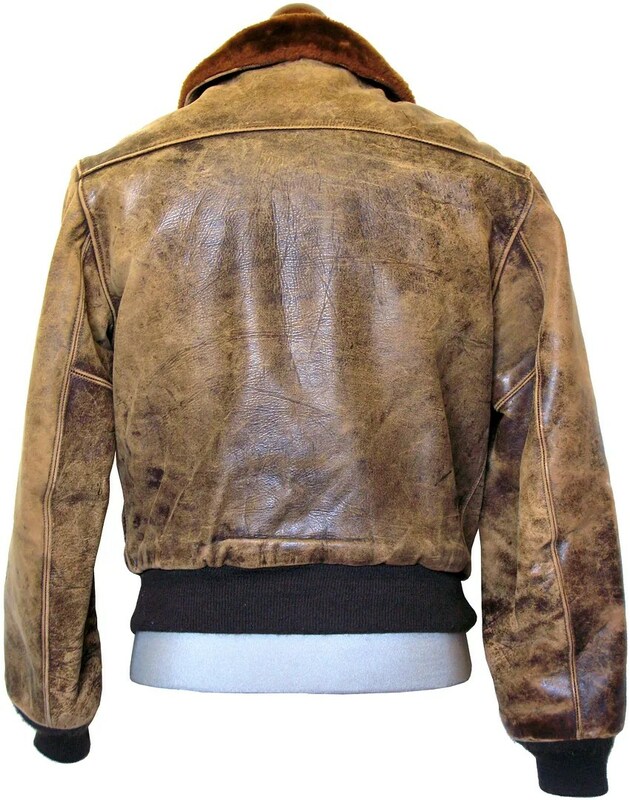 It is made of full grain front quarter horsehide, with a mouton collar. 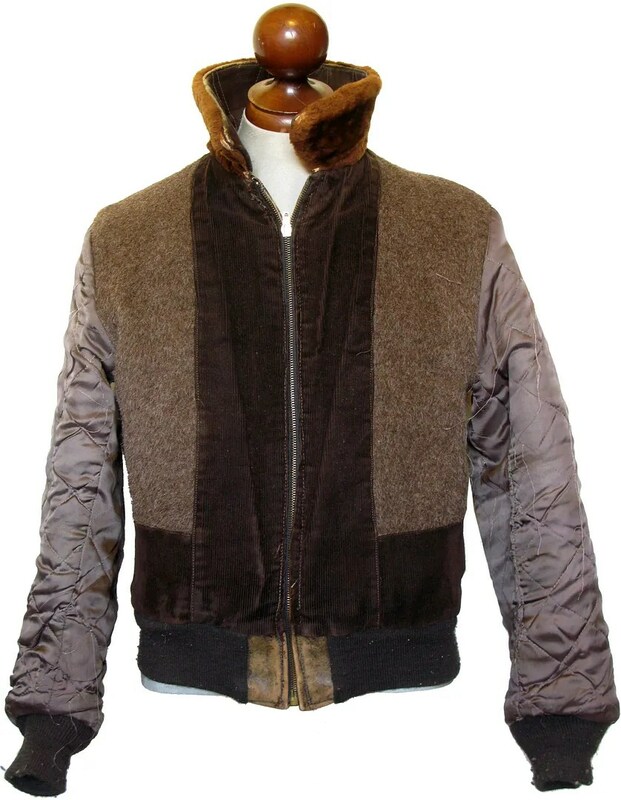 The jacket is lined in alpaca and corduroy, with quilted sleeve linings. 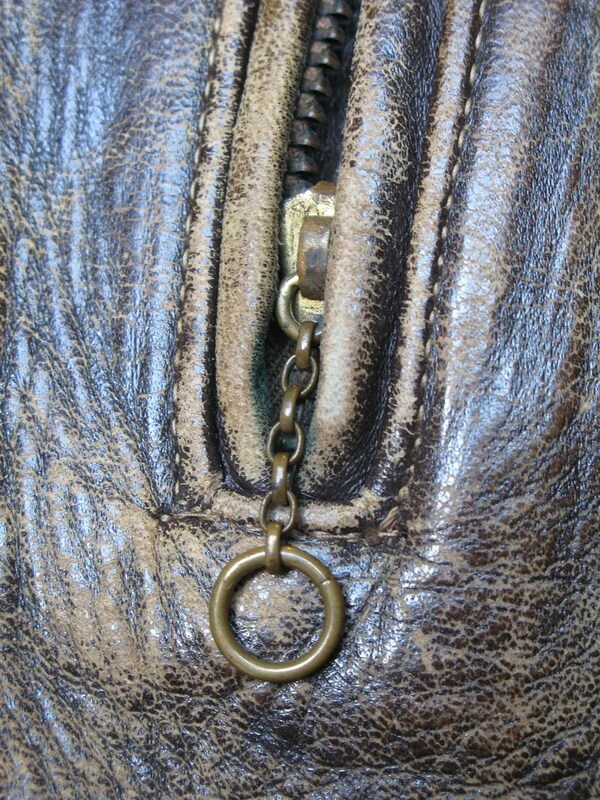 The zipper is a later replacement from a no-name maker, with non-matching stitching. The cuffs and knit waistband also appear to be replacements. 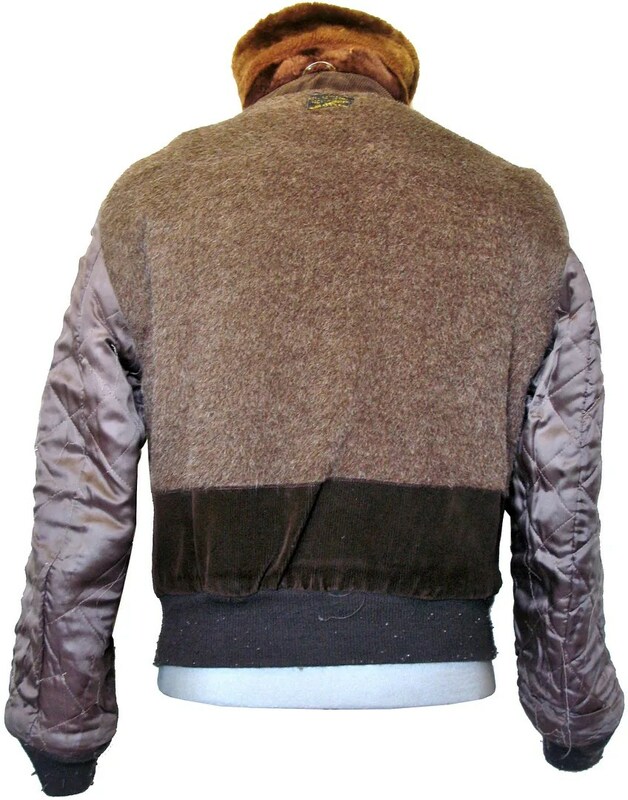 The jacket has a one piece back with a straight shoulder yoke. The horsehide has wonderful grain accented by decades of use. 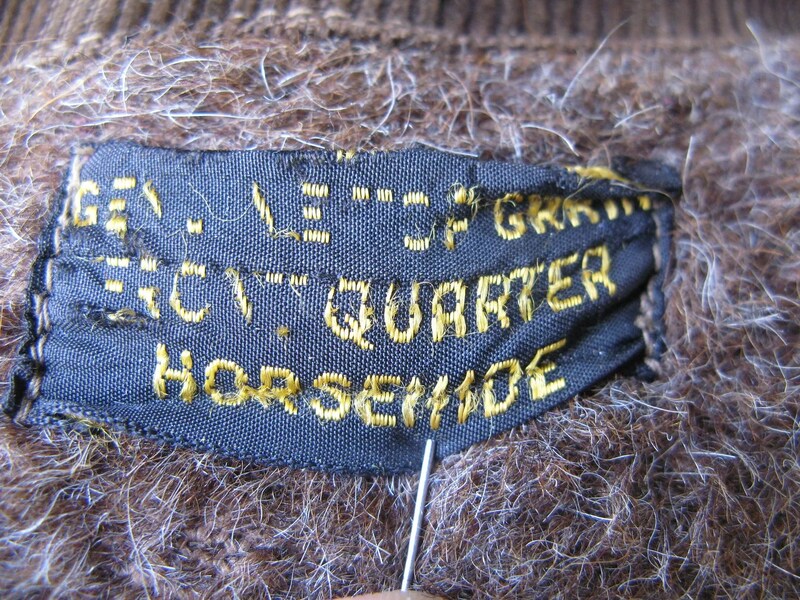 I have seen this particular design of yellow and black horsehide label, and this style of lining on earlier button front barnstormer models, but not on a post-war bomber jacket style like this. 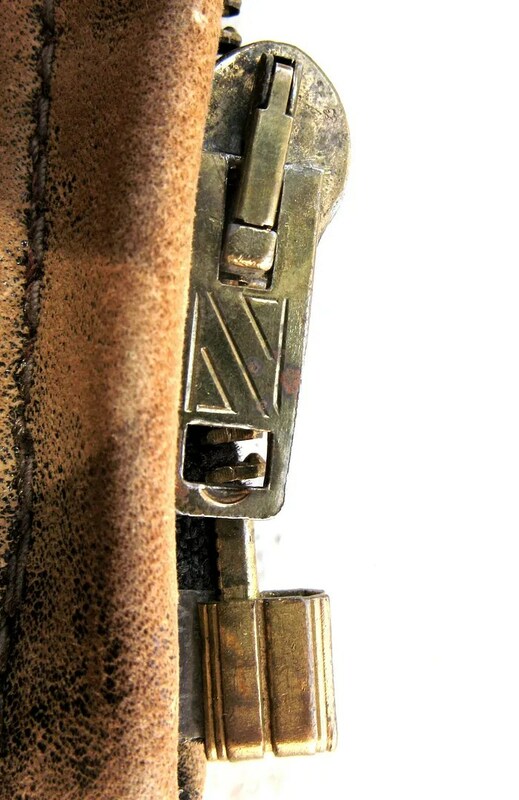 The leather has wear and loss of finish, but is still solid and supple.